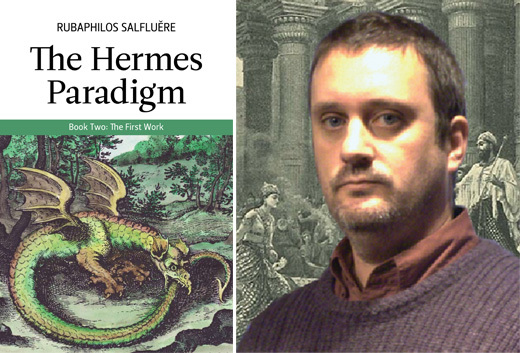 Many students of alchemy have been waiting patiently (and, in some cases, impatiently) since October 2009 for the publication of the second volume in Rubaphilos Salfluĕre’s five book cycle, The Hermes Paradigm. We are pleased to confirm that The Hermes Paradigm, Book Two: The First Work is scheduled for publication 01 February 2012. Although the edition will be limited, the wise reader can secure a copy by pre-ordering directly from Salamander and Sons. Visit our website to learn more about the book and its contents. 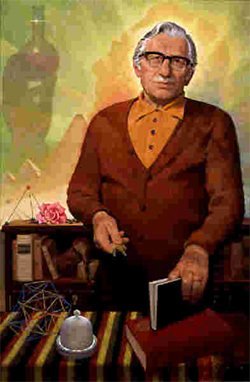 It is not widely understood, today, that the way in which we approach the orderly study of laboratory alchemy in the 21st century was established by the famous 20th century alchemist Albert Riedel. 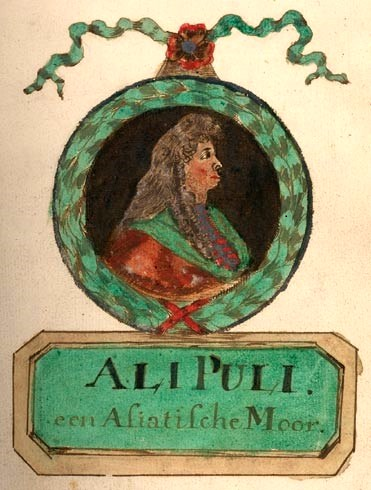 Albert Riedel went by the esoteric alias Frater Albertus Spagyricus. Albertus taught his approach to alchemy through a school that he had established in the U.S.A. during the 1960s. He was the first person in modern history to teach a near-classic approach to traditional laboratory alchemy in a semi-public situation. Before Albertus’ re-establishment of accurate laboratory alchemy practice in mainstream Western esoteric study, the art had existed so far underground that knowledge of it was all but lost to the broader Western tradition. Albertus influenced a large number of serious occultists who adopted his ideas as being fundamental to a proper understanding of alchemy. Some of these individuals went on to have a major influence on the wider Western esoteric community, establishing a standard approach to alchemical study which has today become the accepted format for teaching the subject in esoteric fraternities. A major part of the effect Albertus had on the modern study of laboratory alchemy was to define a relatively rigid set of stages through which the student should ascend an orderly study of the work. (Unfortunately, true to historic form, the basic format for study that Albertus laid down was strong in the laboratory aspect, but very weak in the inner facet). Hard work by accomplished alchemists since Albertus’ time has made even greater improvements in the laboratory aspect, but a good esoteric theory and practice is still largely absent in the popular level of the tradition. This situation has encouraged most modern authors and teachers of the subject to generally follow the philosophy that if you teach a strong lab foundation, the student will figure the rest out in good time. Experience has shown, though, that this is rarely the case, partially because the initial foundation is not strong, in the greatest number of cases. Instead, most students learn the fundamentals of the popular approach to the physical lab techniques, then continue to practice them by rote without ever developing an effective grasp of the deeper truths of the subject. In saying as much I should add that this situation is tolerated for good reason. Those who are in a position to provide accurate teaching prefer to maintain control over just who finds themselves in a position to receive the same. Albertus taught that the study of alchemy should be broken down into roughly three levels (which he taught in seven stages). Study of plant alchemy came first, then animal alchemy and then the basic mineral work. Finally the focus was placed upon advanced mineral alchemy … the Great Work of confecting the Philosopher’s Stone. The attainment of the ‘Stone’ of each realm was considered an indicator of Mastery in that realm, from a laboratory perspective. In this way the title of Master Alchemist is only ever given to that Adept who performs a metallic transmutation with a Stone confected by his or her own hands. Over time, due to ethical considerations, much of the work on animal substances has been discarded by both alchemical teachers and by students. Due to this development most students of the art today begin their study with investigation of plant processes, then, if they find themselves sufficiently committed to further study, move on to research in the mineral and metallic kingdoms directly. Of all the publications of classic alchemical literature those covering the subject of the Plant Work are by far the rarest. In modern times, within the range of books that the average student can gain easy access to, some half dozen books on the subject have been published since the 1960s, this number almost exceeding those of the same genre for the previous 2,000 years. Essentially, what this tells us about the study of alchemy is that for anyone who would be a student, accurate and productive instruction in the necessary key concepts, through published format, is virtually impossible. This means that even in our day the heart of alchemical teaching is still an oral tradition. This almost entirely explains why so many people in the public arena obviously struggle so much with even the most basic concepts. At the same time anyone who has been on the receiving end of accurate oral instruction immediately recognises the gulf that exists between that which he understands, and that which is thought of as ‘serious’ information at the popular level of the tradition. The curse of having not received the oral tradition leaves the student with a one-sided view of the landscape, whereas the initiated student has the advantage of seeing both camps. The thought that this situation I have described might actually exist infuriates many individuals who feel or know they are somehow cut off from the oral tradition. Therefore (I am very much aware that) this idea is railed against aggressively at the popular level of the tradition. We should not forget, though, that insisting something does not necessarily make that something true. In modern publications certain important theoretical and philosophic concepts are presented outside of the pertinent instruction in manual laboratory operations. But essential, in-depth and accurate meaning of key Hermetic concepts is often not provided, or is presented in an extremely vague manner. So, almost every student is forced to discover or invent their own interpretation of the philosophic principles of alchemy. Unfortunately this has generated a lot of information based upon questionable guesswork that then circulates around the various forums of alchemical discussion. 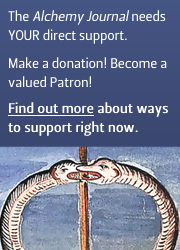 Riding on the coat tails of this situation is a healthy degree of insecurity about the accuracy of one’s personal opinions on the philosophic meaning of alchemical concepts in the wider alchemical community. So, in order to avoid possible embarrassment, most authors or individuals who indulge in discussion of such ideas, avoid venturing into the territory of defining the meaning of essential core concepts (or even revelation of the existence of some ideas), in any real depth. This presents the novice with a serious handicap that, due to his inexperience, he is almost always unaware of. The Plant Work, being the first process to be taught the apprentice (or novice), is designed to present him with the basic principles of the theory and practice of laboratory alchemy. The idea being that if taught properly from the start the apprentice will learn everything he will require in order to graduate to the advanced works and understand them – since understanding is the whole point of the exercise. At the same time it is often foolishly believed that the secret of the Great Work is found in knowledge of chemicals and/or equipment. The reality could not be further from the truth, since there is little about equipment, or about the knowledge of chemicals required, that cannot be learned from high school level chemistry and physics, and good sense. On the contrary, the secrets of alchemy are found in an understanding of the backbone of the alchemical paradigm … Hermetic philosophy, and certain quirks of technique that follow on from it. If you manage to grasp the paradigm, productive results in the manual labour will follow naturally. But the latter without the former is a futile exercise. It is with the publication of this volume that I hope in some way to address this problem, by placing focus primarily upon the philosophic teaching that should accompany the novice’s training, which has rarely if ever been published before now in an orderly and clear fashion. At the same time I will provide just as much description of the simple laboratory instruction as will be sufficient to make this work coherent, complete and of practical use with a focus upon essential technique.